APTRON Noida provides Best Networking training in noida based on current industry standards that helps attendees to secure placements in their dream jobs at MNCs. APTRON Provides Best Networking Training in Noida. APTRON is one of the most credible Networking training institutes in Noida offering hands on practical knowledge and full job assistance with basic as well as advanced level Networking training courses. At APTRON Networking training in noida is conducted by subject specialist corporate professionals with 7+ years of experience in managing real-time Networking projects. APTRON implements a blend of academic learning and practical sessions to give the student optimum exposure that aids in the transformation of naïve students into thorough professionals that are easily recruited within the industry. 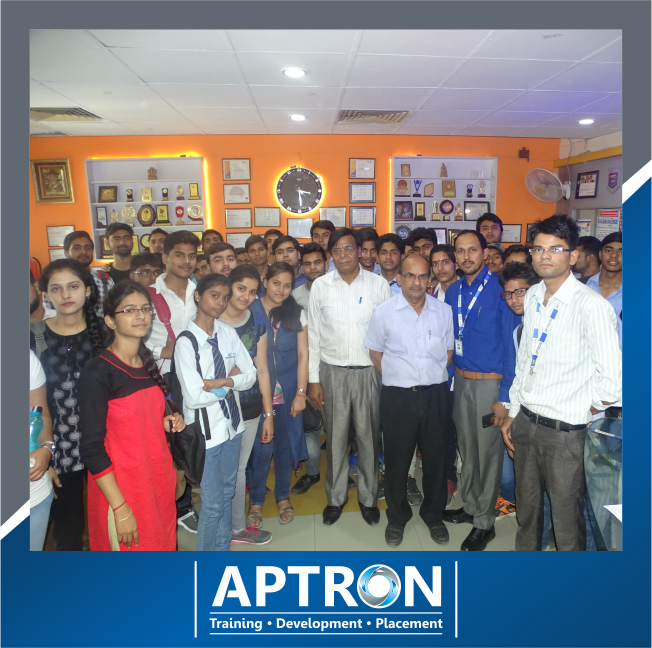 At APTRON’s well-equipped Networking training center in Noida aspirants learn the skills for Network basics, Wired computer-to-computer connections, Wireless networking, Security threats and mitigation, Security practices, Network access control, Monitoring, Troubleshooting, Networking Training on real time projects along with Networking placement training. 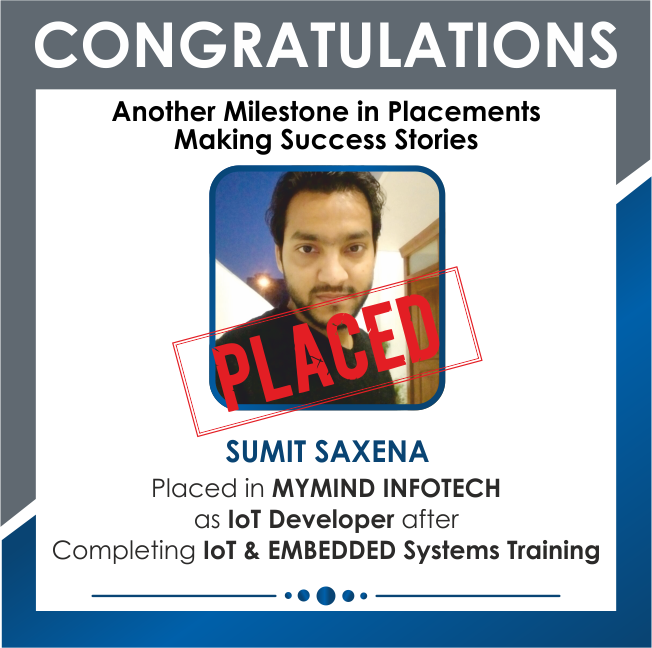 Networking Training in Noida has been designed as per latest industry trends and keeping in mind the advanced Networking course content and syllabus based on the professional requirement of the student; helping them to get placement in Multinational companies and achieve their career goals. APTRON is the biggest Networking training center in Noida with high tech infrastructure and lab facilities and the options of opting for multiple courses at Noida Location. APTRON in Noida prepares thousands of aspirants for Networking at reasonable fees that is customized keeping in mind training and course content requirement of each attendee. Networking training course involves "Learning by Doing" using state-of-the-art infrastructure for performing hands-on exercises and real-world simulations. 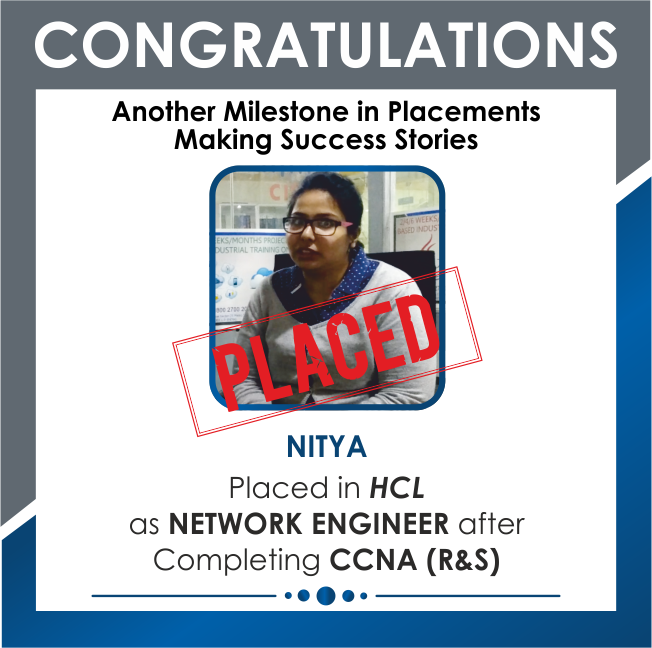 This extensive hands-on experience in Networking training ensures that you absorb the knowledge and skills that you will need to apply at work after your placement in an MNC. 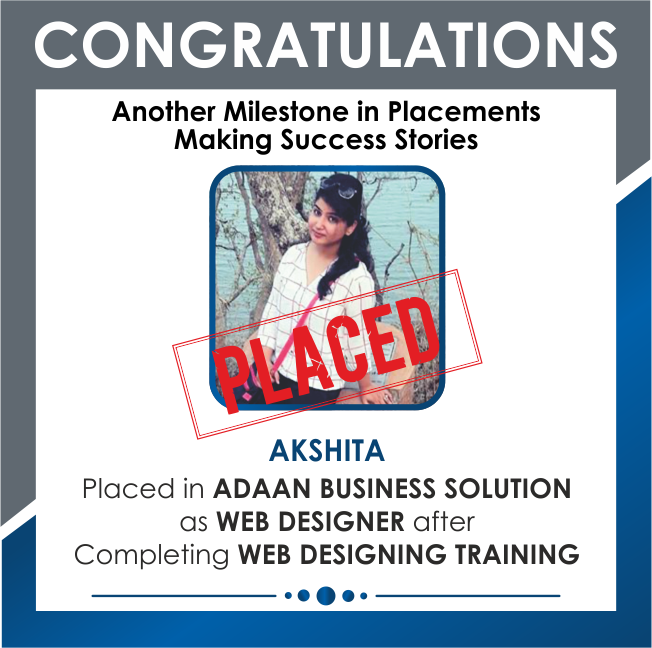 APTRON Noida is one of the Best Networking training institute in Noida with 100% placement support. APTRON has well defined course modules and training sessions for students. 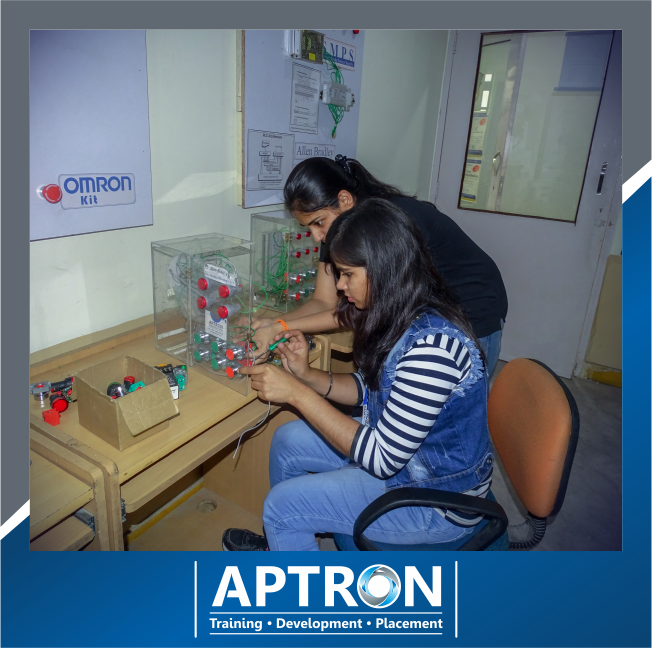 At APTRON Networking training is conducted during day time classes, weekend classes, evening batch classes and fast track training classes. Coordination and linking of the various hardware and network devices such as the cables, bridges, switches, routers etc. within an organization is known as Networking. This further ensures smooth flow of data and information. Hardware and Networking finds its primary usage in data processing and comprises of all the Networking concepts such as: peripherals & interface cards and all the communication tools. Due to the advancement of technology the networks have progressively become more and more convoluted. 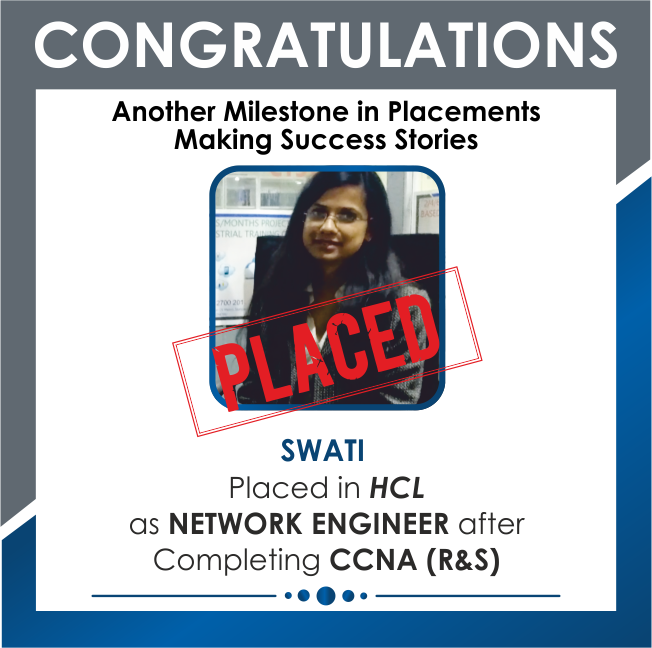 Hence, the demand for a skilled Networking specialist exists always. And this is the reason that there exists number of job opportunities as per your skills and expertise. To help you acquire the same APTRON conducts the best Networking training in Noida that helps the learners acquire industry standard skills and gain proficiency in successfully connecting two or more systems and permits sharing of data and information. Thus Networking at present is one of the most trending fields that are widely adopted by the individuals for better future career endeavors. APTRON is one of the leading Networking training institutes in Noida that provides the best Networking Training in Noida to the students. APTRON is a certified Networking training institute in Noida that provides an excellent learning environment to the students by implementing a practical based learning. Large-scale usage of the computers, mobiles, desktops, laptops and the internet in both government and private organizations has increased the needs for both the Networking as well as the hardware professionals. If one has taken the Networking certification courses then he/she gets widespread opportunity in the field of Networking. Today it is considered among the best career options, as every business needs it. 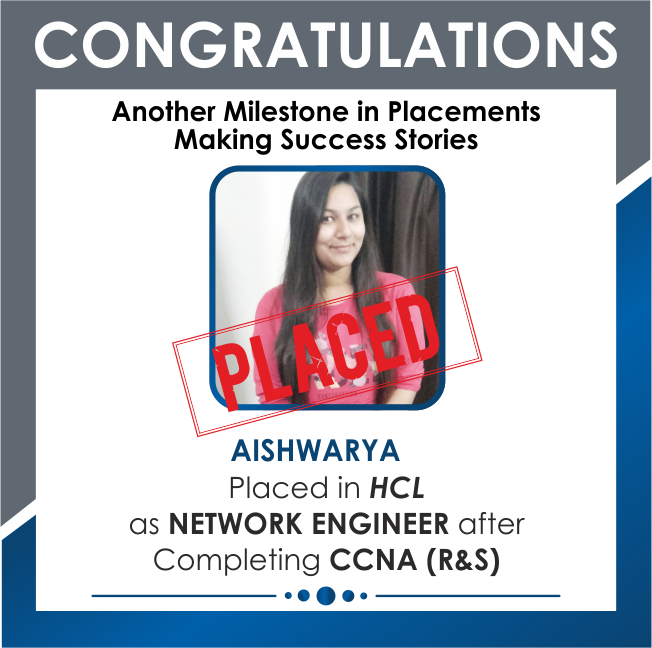 Hence Networking training course is being preferred by majority of the students. Once you acquire the Networking certification, huge career and job opportunities open up as; there is a large-scale usage of computers in various colleges, organizations, schools, banks, hospitals etc. APTRON is the best Networking training and placement institute in Noida. APTRON’s Networking training in Noida prepares you with professional skills and increases the probability of acquiring the best jobs as Networking administrators or hardware professionals in both IT as well as the web hosting companies. Information technology sector today has gained wide popularity due to the development in the IT sector and thus has created lucrative career opportunities both in the private and public organization. APTRON’s Networking course in Noida makes you job ready making you the preferred employee over those who do not own the certification. APTRON’s Networking Training in Noida provides in depth and detailed understanding of the Networking concepts and enables you to learn professional skills. The Networking courses in Noida at APTRON are updated as per the latest industry recommendations and it necessarily comprises of factually correct information. 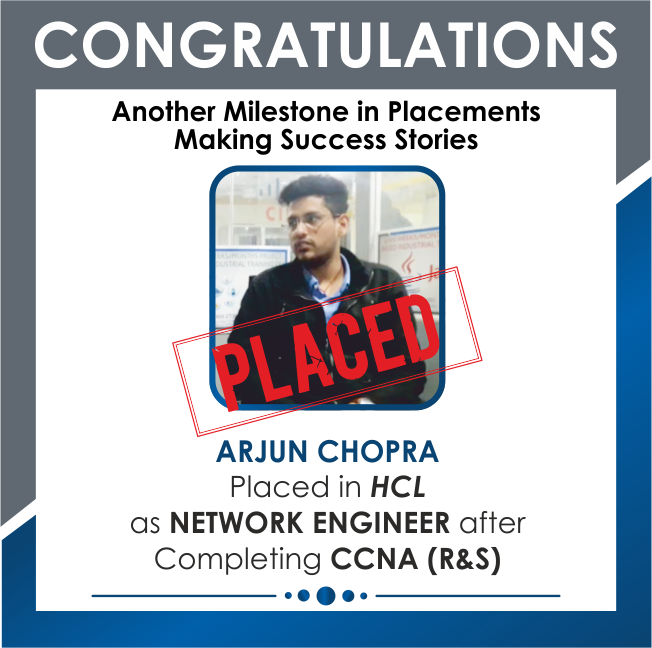 During the Networking training process the one-on-one interaction with trainers and also the opportunity to work on live projects assists in better understanding of the Networking concepts and also APTRON’s networking training in Noida prepares you for the various certification exams in Networking. For an effective Networking Training in Noida, register with APTRON- the best Networking Training institute in Noida. 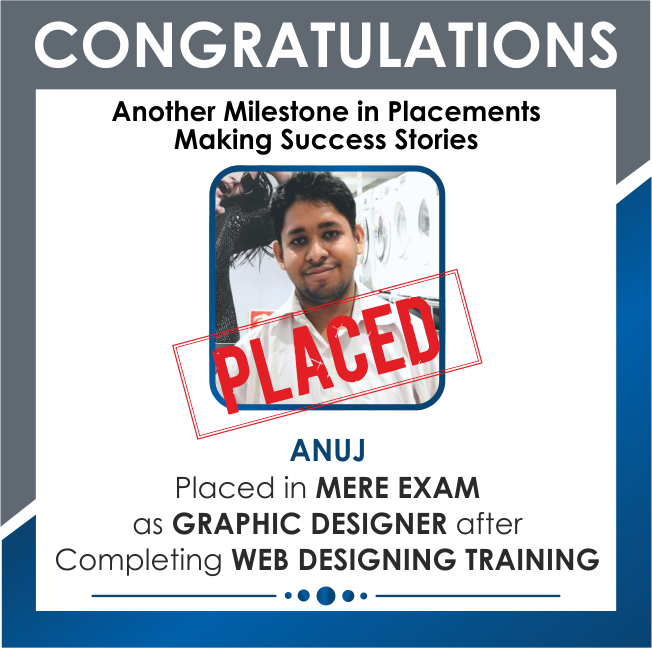 It offers job-oriented Networking training, which is responsible for the complete transformation of the learners. This is an approximate course fee and duration for Networking. Please contact our team for current Networking course fee and duration. Networking training in noida is designed according to current IT market. Offer the best Networking training and placement in noida with well defined training modules and course sessions. Facilitate regular, weekend and customized Networking training in noida..
Mentors of Networking training in noida helps in major project training, minor project training, live project preparation, interview preparation and job placement support. Hostel facilities available at Rs.4,500/- per month for Networking training in noida. 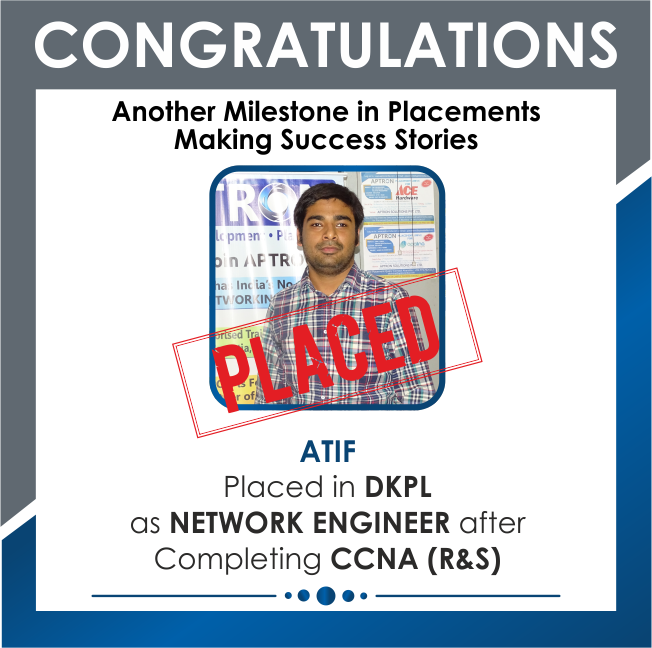 APTRON prepares number of Networking professionals who successfully learn skills as per the working of industry standards. In addition to this the learners get a chance to have hands on experience of the corporate environment, as they are exposed to such working conditions. 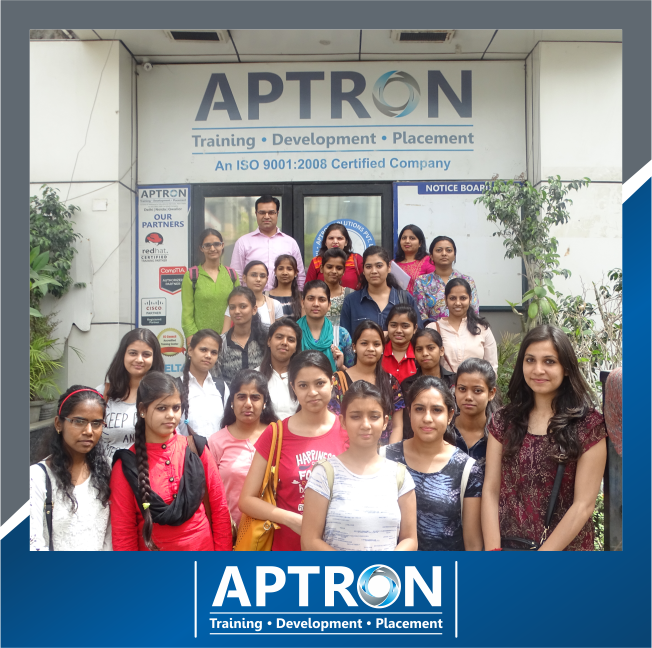 The trainers make sure that every student avails the best Networking training in Noida at APTRON. APTRON- the best Networking training institute in Noida offers 100% placement assistance to all the students who have enrolled themselves for networking training course. 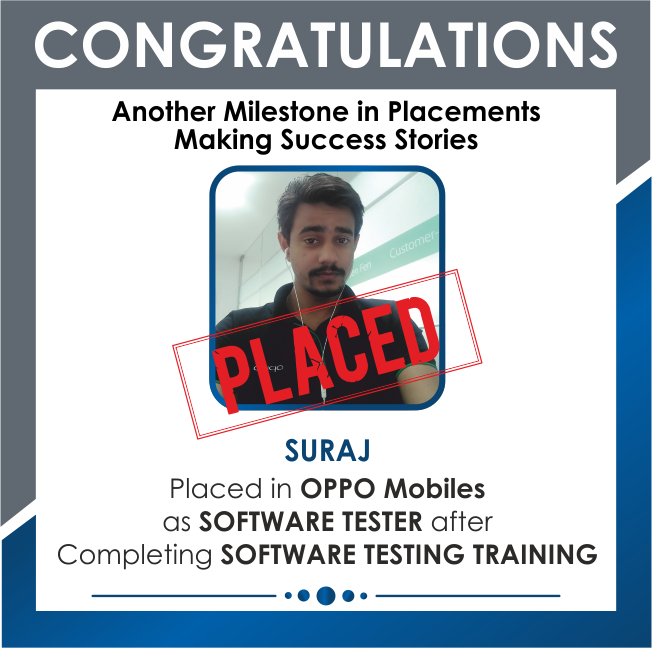 APTRON has a specific placement team whose members take care of the activities associated to placement such as scheduling and conducting of the recruitment drives. 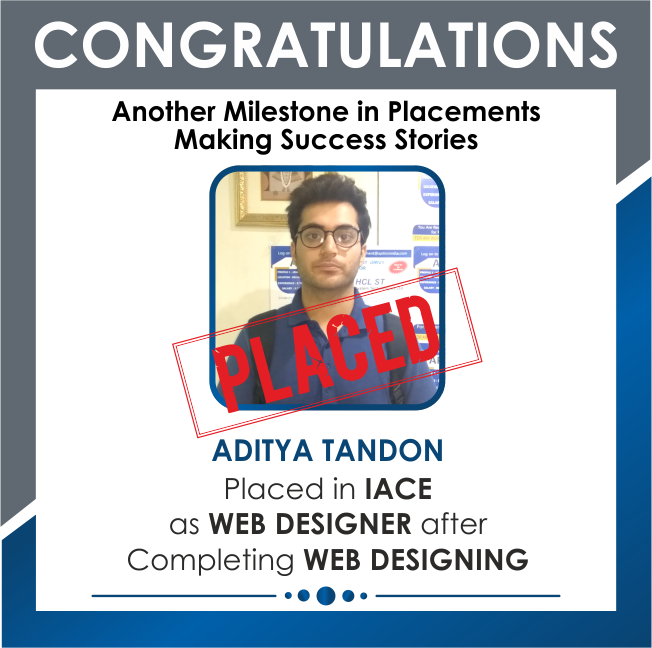 Being the best Networking training and placement institute in Noida, APTRON offers mandatory placement training to all the students for free. This training further comprises of personality development and also enhances the communication skills etc. 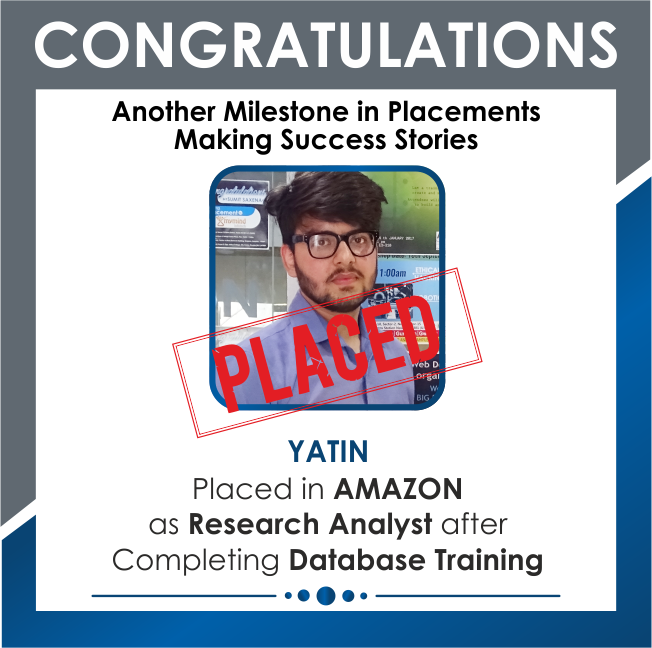 This type of rigorous training assists the individuals to face challenges in the interview at the time of recruitment. Once you begin with networking course in Noida at APTRON we take complete responsibility to give you with the Networking study materials and other assistance or facilities needed for the training. APTRON provides Networking course study material to all the trainees, which is beneficial for taking reference from. 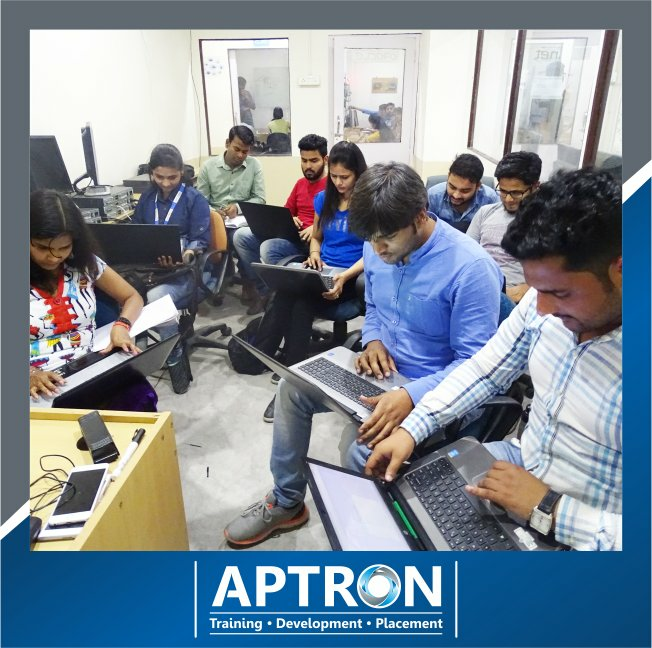 APTRON is identified as the best Networking training centers in Noida with advanced infrastructure facilities & best lab assistance that offer the best learning environment to the students. What do the aspirants learn in Networking Training? The curriculum for Networking course in Noida at APTRON includes: Network basics, Wireless networking, Wired computer-to-computer connections, Security practices, Network access control, Monitoring, Security threats and mitigation, Troubleshooting, Networking Training on live networking projects in addition to the Networking placement training. 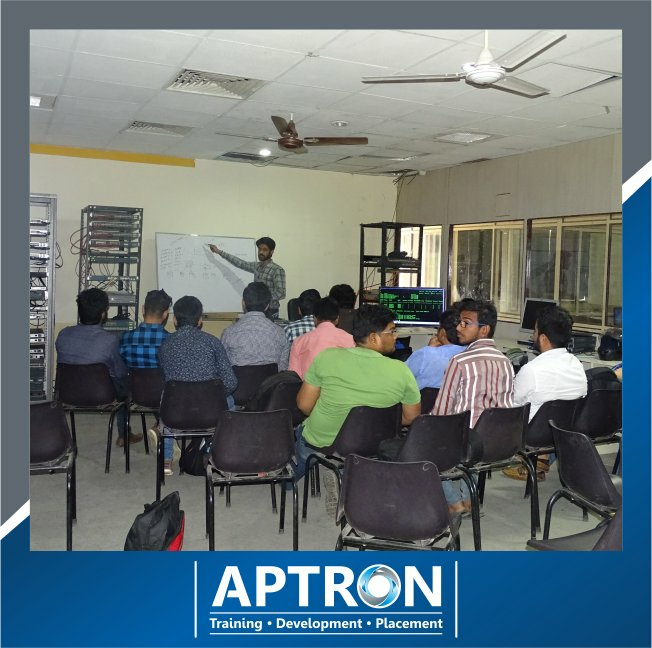 At APTRON the classes for networking training course is flexible with time conducted in weekdays & weekends in multiple batches at different timings. APTRON also gives fast-track Networking training in Noida to all those who wish complete the course within a limited time. APTRON’s Networking course fees are affordable and can be paid in installments too. Q.What is networking course duration and fees? 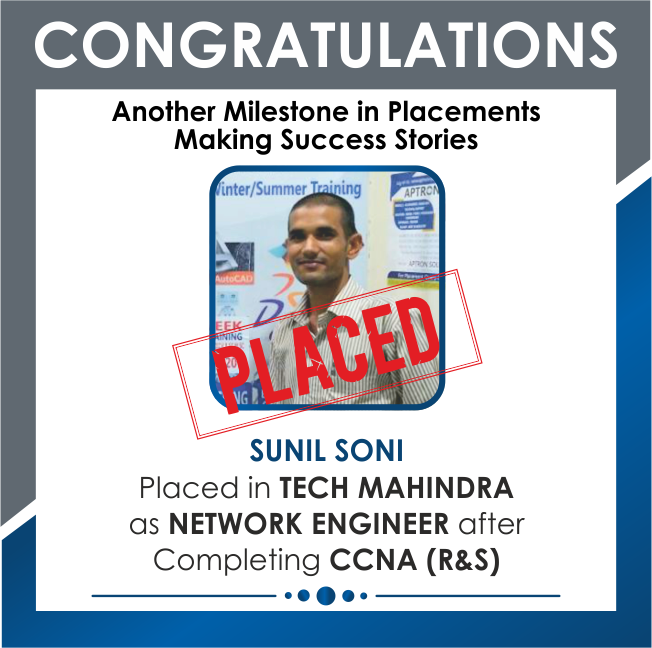 The duration for networking training in Noida at APTRON is approximately 45-60 days for the regular batch. 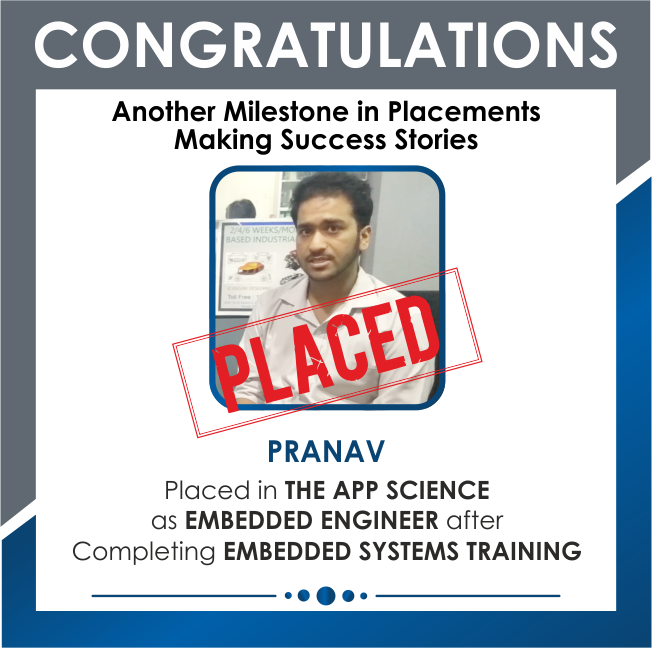 However the Networking course is quite flexible in terms of duration as per the batch chosen by you, i.e. regular or weekend batch. APTRON also offers the option for taking fast-track Networking training in Noida. The fee for networking course in Noida at APTRON is quite reasonable. Q.Is networking course difficult to learn? No, Networking course is not difficult to learn. You only need a firm determination and commitment to learn the course and also choosing the best Networking training institute has a greater significance. APTRON is the most reliable choice for networking training in Noida. Q.Do you provide any certificate after completion of the Networking Course? By the completion of the Networking Course APTRON also prepares you to qualify the various networking certification exams along with the acquisition of professional skills. Q.I wish to enquire more about the Networking training program. Where shall I contact? To get more information about Networking Training kindly give us a call, write to us, place an enquiry or Request a Call Back and we will immediately get in touch to get your queries resolved at the earliest. Q.What is networking course all about? APTRON’S networking certification training in Noida is an ideal course for the aspirants at entry level and also at professional level that expands their basic knowledge. Our Networking Training program inculcates the learners with relevant professional and practical skills about the Networking practices. APTRON has the best training module for networking course in Noida. Q.Why is networking training important? Networking training is quite important as it offers you with wide career opportunities once you gain the Networking certification. 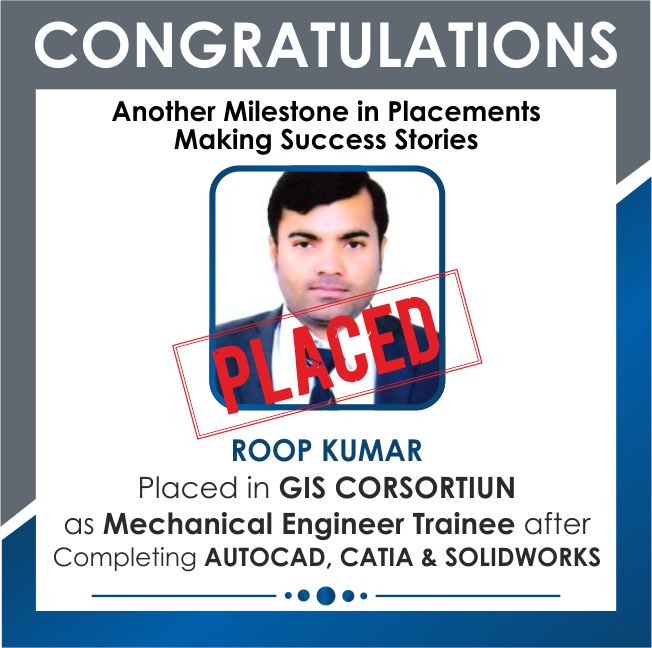 Q.What is the career scope after the completion of networking course in Noida? Most of the established organizations look for certified Networking professionals for handling their operations. Networking certification course here is widely recognized and thus helps the learners to get the jobs easily. Q.How much does a Networking professional earn? The average annual salary of a Networking is quite high and ranges from 4-5 lakhs approximately depending upon the level of skills and expertise in the field. Q.Who is APTRON’s Trainer for networking course in Noida? All the trainers at APTRON are highly proficient and professional experts in the field and thus give the best guidance to the students. Q.Do the Networking trainers provide exposure with working examples? Yes, at APTRON the trainers illustrate the examples and make the students work on the projects to have real-time experience by working on industry standard projects. Q.How does the payment take place? Payments can be made via debit card, Net-banking, credit card, cash etc. APTRON training is one of the best Networking training institute in Noida. It has experienced Networking trainers in Noida. I did my Networking training in Noida and would like to recommend everybody for APTRON training. 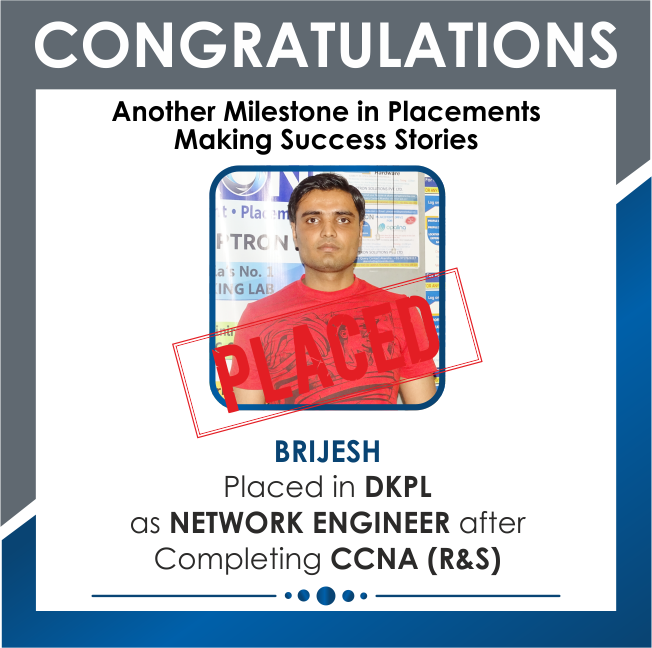 I am Rahul, did my Networking training in APTRON (Noida). The Networking training is good and it has assisted to found decent job in Networking. The Networking training placement provided by APTRON training in Noida is very useful, completed Networking training. My friend has recommended APTRON training center in Noida, I have completed Networking training and attending interviews. APTRON training is the best Networking training institute in Noida, APTRON training has very good Networking trainers in Noida. 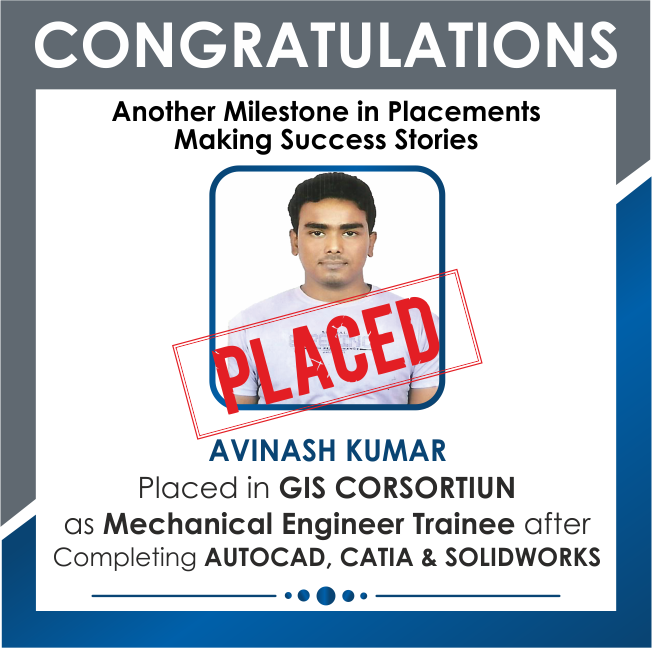 I did my course placement training in Noida. I recommend APTRON training.